Let’s talk about this season’s fashion trends. Today’s topic is dark denim. This kind of fabric is ideal for regular fall and winter season wear. Of course, you can wear it in warm seasons too, but it gives you a more fall-friendly look. You can wear it to work, parties, as well as in your everyday walks. In other words, it’s a versatile fabric made for everyone in this big world. I’ve got some tips and ideas on how to make it look awesome on you. Keep on reading to find out more. 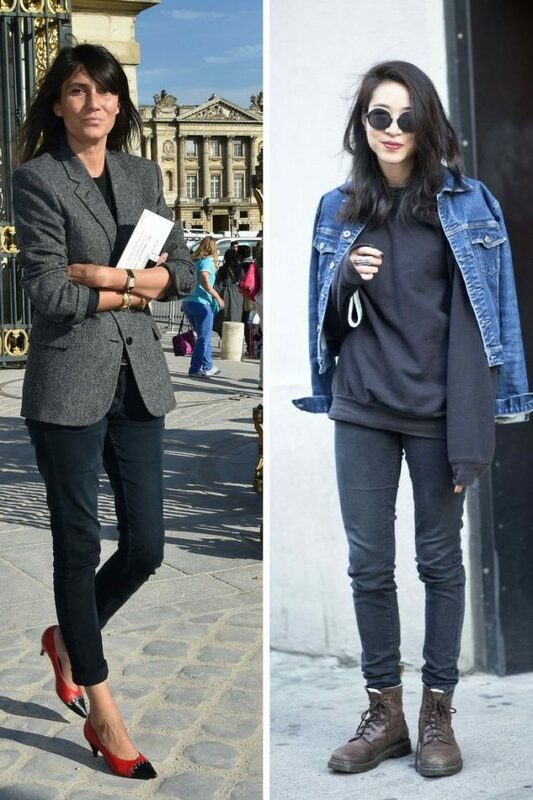 The first clothing staple that popped in my mind is the dark denim jeans. Yes, this is the most common piece of clothing that comes in your mind thinking of denim fabric. This simple wash color can drastically change up your look. Just imagine yourself wearing white shirt tucked in dark skinnies. This outfit gonna scream fall. You can wear it as a base layer for many different looks. I would recommend you to try on high-shoulder black leather jacket and pair it with burgundy top and dark denim skinnies tucked in high black leather boots. Of course, there is a chance to keep things lightweight by teaming beige loose-fit knitted cardigan with striped casual top and cuffed dark blue skinny jeans completed with beige ankle-boots. Anyway, our next garment is dark denim jacket. Just like jeans, jacket can look summery cool and fall sophisticated. This outerwear garment is ideal for topping off your basic outfits. I do love pairing my favorite dark blue denim jacket with a basic black tee, white skinnies, and edgy black leather ankle boots. Speaking of colors, then black jean jacket can look pretty awesome styled with your favorite skintight black dress. Some gals want to keep things fun and timelessly chic. How about sporting dark denim overalls? This is an ideal way to give your look a more sophisticated vibe. Dark overalls look schoolgirl inspired and somewhat classy. Avoid buying slouchy or baggy overalls, otherwise you gonna look like a farmer girl. I would recommend to buy classic black overalls and style them with a white shirt and black slip-on. If you want to look glamour and modern, then you might like to pair white shirt with charcoal overall dress completed with zips and metal details. The last but not least is the dark-colored denim skirt. This garment will for sure give you feminine and dressy appearance. If you want to embrace your girlish side and wear dark denim, then the best way is to add dark denim skirt. My favorite look so far is the one where lady appears in a red polka dot printed long-sleeve white top tucked in flared dark denim skirt. 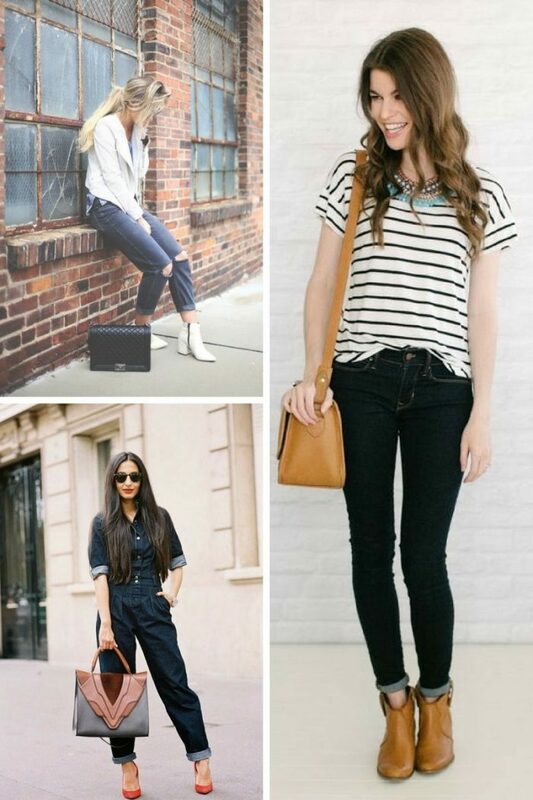 Do You have any thoughts about Dark Denim Trend For Women? 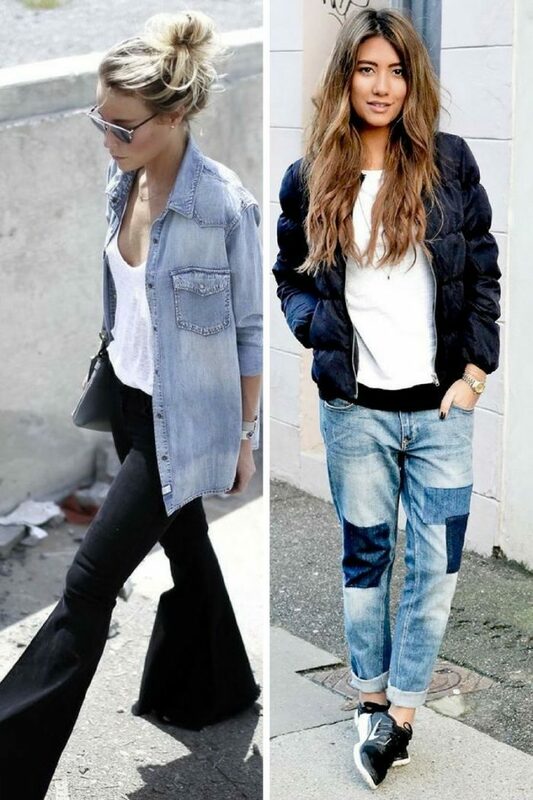 Here are Fashion Tips pictures and trendy women’s outfits which are in style in 2019: Dark Denim, Dark Denim Dresses, Dark Denim Jackets, Dark Denim Overalls, Dark Denim Skirts, Dark Jeans, Denim Trends, Must Have Fashion Trends For Women, Street Style Women's Fashion And Inspiration and tips on how to wear them on the streets.